Circumcision Wisdom | The more you learn about this culture of cutting, the more you're against it. 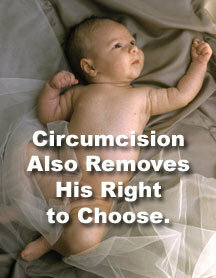 the genital mutilation of infants – also known as circumcision. Because what parents don’t know WILL hurt their babies.